If you've ever wondered what those birds are doing in your backyard, The Backyard Bird Watcher's Answer Guide is the right resource for you. This work is written in quick, easy-to-read question and answer form, and tackles 101 of the most common bird queries. This work discusses such topics as which feeders are the best, how to control squirrels and nuisance birds, what to do with an injured bird, and how to attract hummingbirds. Color photographs accompany several of the answers and help you make a better backyard sanctuary. 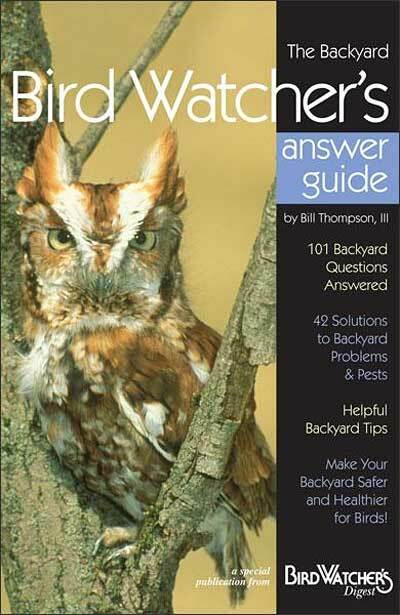 The Backyard Bird Watcher's Answer Guide is the perfect addition to any birder's library.